I feel like it's been ages, since I posted something on here. I am really sorry, I have been busy decorating my flat. And it's no way near done yet. Weather has been amazing for the past week, so I tried to spend as much time outdoors as possible. Today I got to catch up with few friends, so we went to town as there was quite few events going on. We went to Emirates Go East and we had so much fun! They had small concert with different cultures performing, and loads of food from different countries, it was very entertaining. Also, we've got to meet few of the Emirates cabin crew members and take some pictures with them! Can I just say how gorgeous all of those girls are, they all look stunning! Emirates air hostesses has the best uniforms ever - very smart but not over the top. 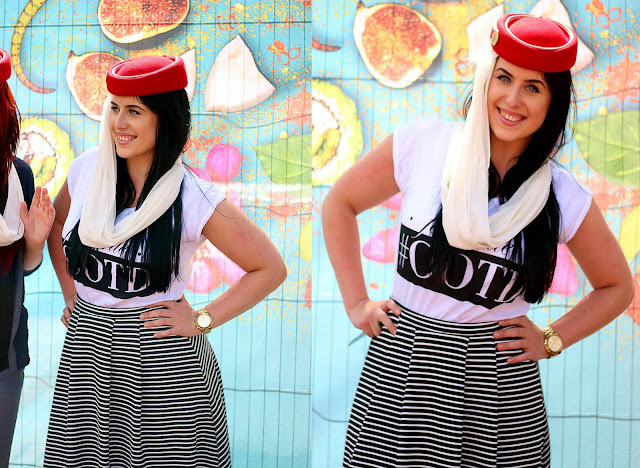 We even had an opportunity to take few snaps with the famous Emirate hats (or whatever you call them)! How awesome is that?! For my outfit I picked something super comfortable and cute, because it was really hot. 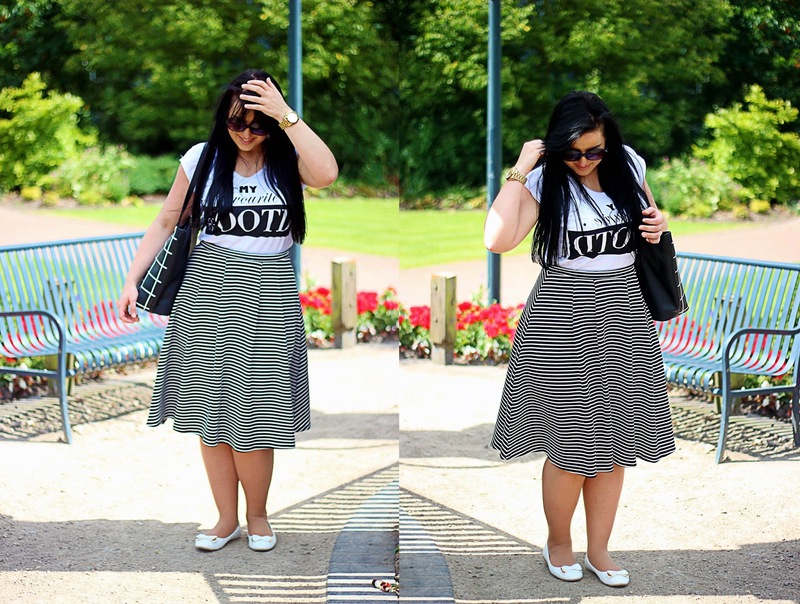 I wore t-shirt and stripe midi skater skirt. I have been wearing a lot of stripes lately. haha I'm so inlove with this t-shirt 'coz it says 'My favourite OOTD', I found it so simple to match it with pretty much everything. Let me know what do you think about this combo. Take a look at the snaps I've took and I hope you are enjoying your weekend!